This not what I ordered Sir! I am with my family in a hotel now owned by Laura Ashley for my Grandmas Birthday, she is 98 and going strong. We connected up a laptop and skyped my Uncle Harold who lives abroad. My cousin ordered the same meal as me, but he wanted his steak cooked to a crips! I like mine bloody, but after sending his meal back twice he finally got his meal which was completly different to what I had! 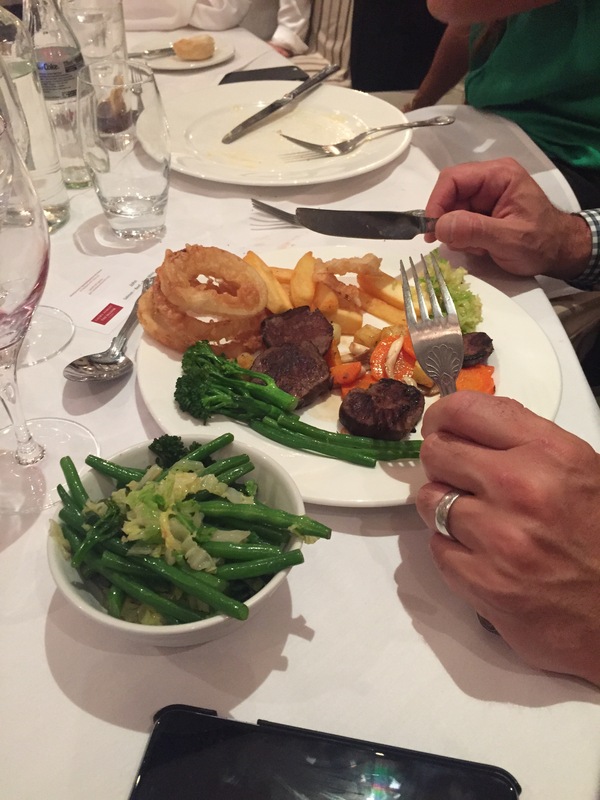 I had a small piece of steak on my plate, with a scattering of little veg. However when my cuz got his meal dam, he got chips and onion rings also! With a bowl of extra veg! I and my Grandma is 98! I bet she makes it to 100! Previous PostIS destruction of Palmyra saddens me.Next PostHow should I cook my beetroot?